Mohammad Javad Larijani, the head of the Iranian Research Centre for Fundamental Sciences, says it is necessary for a country to have “science policy” to be able to stand on its own feet. He said having a science policy will help the people of a country to develop the capability to do three things: defend themselves against enemies, provide their own food if they come under blockade, and protect themselves against diseases. Speaking in a Farsi interview with the Tasnim News Agency, he said a country cannot import the capability to stand on its feet with money; rather, he says, a capability needs to be created. “So, it is very necessary to have a science policy,” said Larijani, adding none of the Iranian governments has had a science policy over the past years. While criticizing the government for not having specific plans in the domain of science, Larijani believes Iran has been lucky because Leader of the Islamic Revolution Ayatollah Seyyed Ali Khamenei, at the time that he took charge of the country’s affairs, presented a proper view of scientific development based on Islamic logic, and has pursued the issue for the past 30 years. Of course, said Larijani, only 20 to 25 percent of the goals the Leader set have materialized, and officials’ performance in that regard have had many shortcomings. 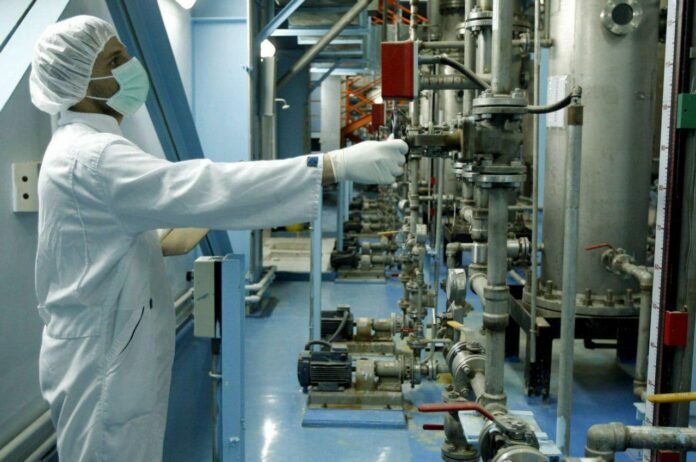 “They said Iran should not be allowed to make scientific progress at such a fast pace,” Larijani noted. He then criticized relevant Iranian authorities for accepting the other side’s demand that Iran’s nuclear work be restricted. “In my idea, one of the key problems with the JCPOA is that we, for the first time on the scientific front, accepted to have an area which was off limits. That is, they drew a line for us and told us that we mustn’t get into the heavy water issue, or cannot enrich uranium to a certain degree of purity, and so on and so forth,” Larijani noted. He said now they are saying that the range of Iranian missiles must not exceed 100 kilometres. Larijani said the late Leader of the Islamic Revolution Imam Khomeini stressed that there are no forbidden areas in science and technology. Elsewhere in his remarks, Larijani said Ayatollah Khamenei tried to draw up an outlook plan in different areas, namely various sciences. He said governments which have been successful in scientific, economic and technological development have a number of scientists who form the main body making scientific policies. Larijani added that they also have a proper picture of the scientific situation in the world, and at the same time have the prospects of their future goals in minds. Moreover, they have scientific policy together with an action plan, he added. Above all, they are determined to move on the path to realizing those objectives, he concluded.